A federal judge in California agreed to delay Stormy Daniels' lawsuit against Michael Cohen on Friday, saying it appeared likely President Donald Trump's personal lawyer would be indicted in a separate criminal investigation. U.S. District Judge S. James Otero issued a 90-day stay in the lawsuit in which the adult film star, birth name Stephanie Clifford, accused Cohen of defamation. Her initial lawsuit sought to nullify a hush agreement arranged by Cohen and involving Trump in exchange for a $130,000 payment. Cohen said he made the payment to Daniels using his own money and that he was not reimbursed by Trump. Daniels said the agreement shouldn't be valid because Trump never signed the paperwork. She amended her lawsuit to include accusations of defamation against Cohen after he denied her statements that she had an affair with Trump before his presidency but after he was married to Melania Trump. Cohen also is under investigation in New York. Earlier this month, the FBI raided his home, hotel and office and seized documents related to the Daniels payment and his personal business interests. The case was referred to federal investigators by special counsel Robert Mueller, who is investigating allegations of Russian meddling in the 2016 presidential election and Trump campaign collusion. 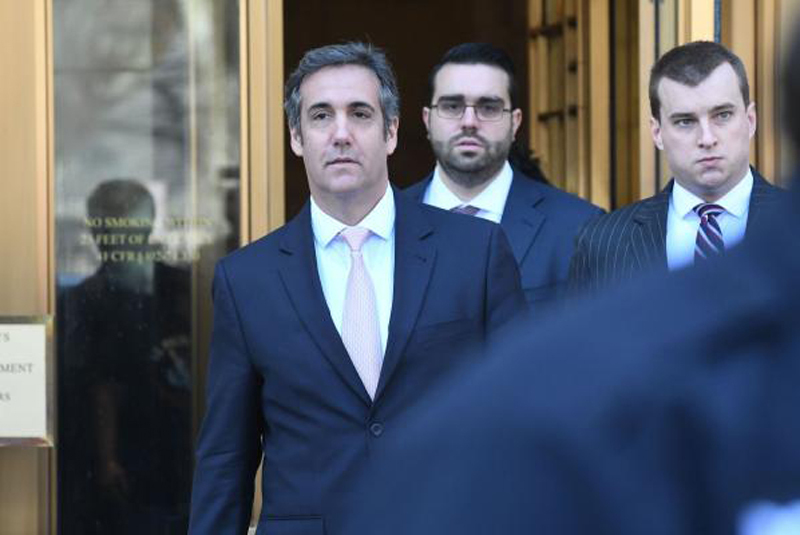 On Wednesday, Cohen said he intended to exercise his Fifth Amendment rights in the California case so as not to incriminate himself in the criminal case in New York. Currently at issue in the New York case is which of the documents the FBI seized from Cohen are protected by attorney-client privilege -- communications between Cohen and his clients. On Thursday, Judge Kimba Wood appointed a former federal judge, Barbara Jones, to act as a special master to review the documents and remove those she believes should be protected. "This is no simple criminal investigation; it is an investigation into the personal attorney of a sitting president regarding documents that might be subject to the attorney client privilege," Otero said of the New York case. "Whether or not an indictment is forthcoming, and the court thinks it likely based on these facts alone, these unique circumstances counsel in favor of stay." Michael Avenatti, Daniels' lawyer, said he disagrees with Otero's order. "We will likely be filing an immediate appeal to the 9th Circuit early next week," he said. "Justice delayed is denied."